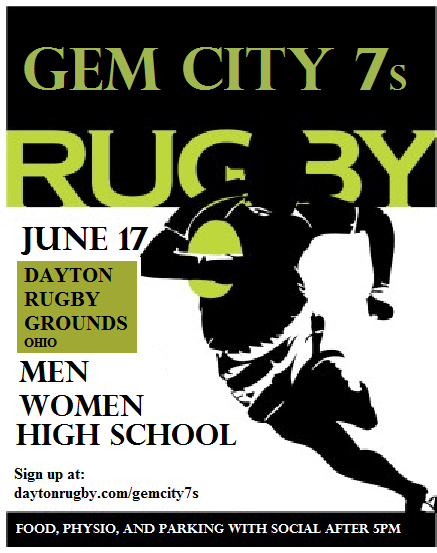 Dayton Area Rugby Club will be hosting the first 7’s tournament to take place at Dayton Rugby Grounds! There will be brackets for Men, Women, and High School Boys. As we get closer we will send out info on times and brackets to each team. There will also be a social to follow the tournament. Register above as soon as possible to get your team on the list!